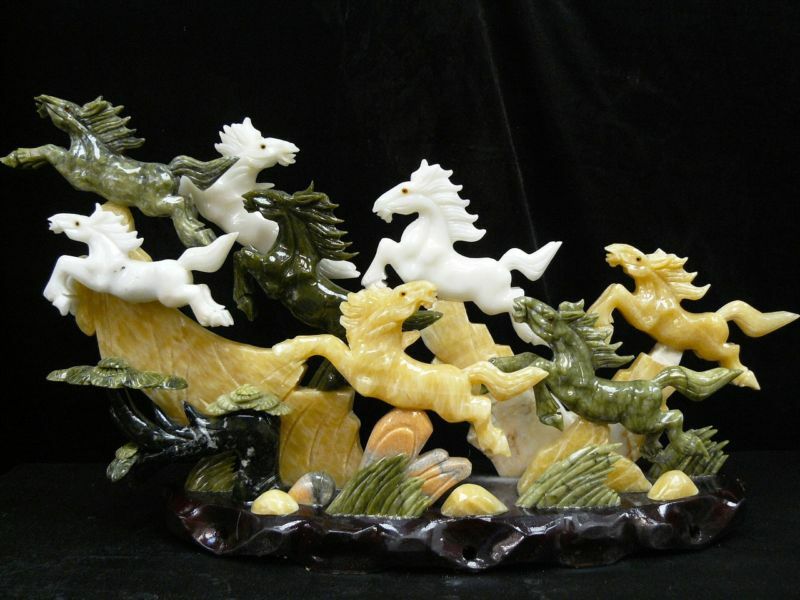 Wide: 26", Deep: 6". 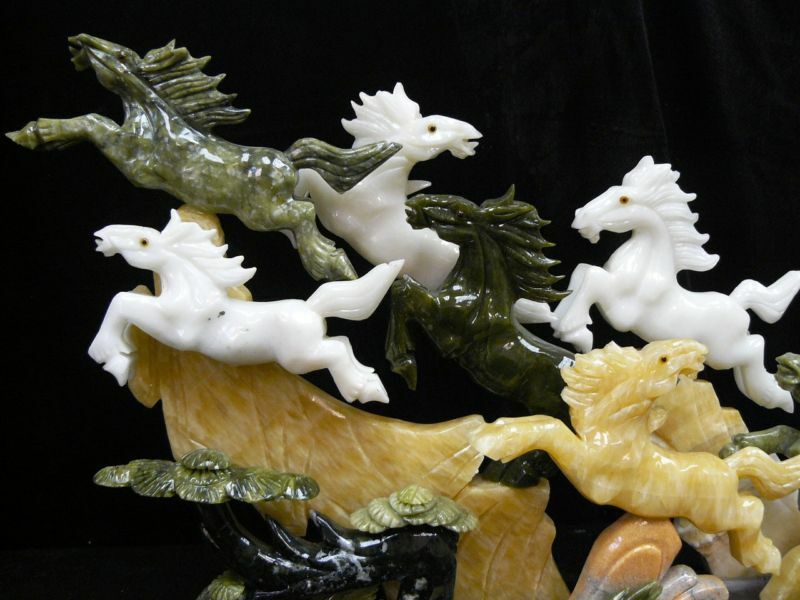 High: 14"
THIS GREAT ART IS MADE OF VARIOUS JADES. 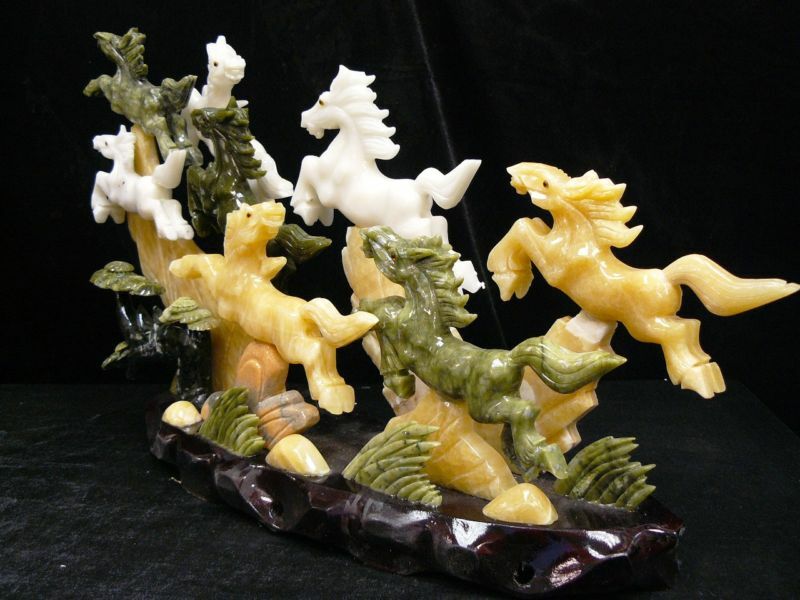 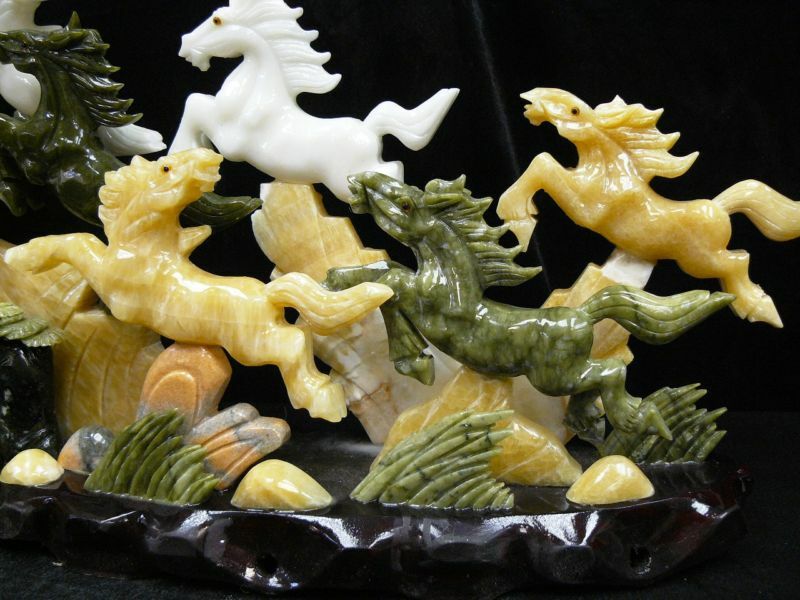 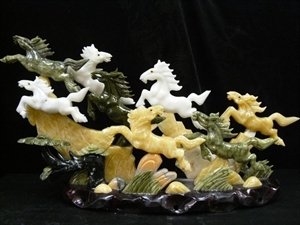 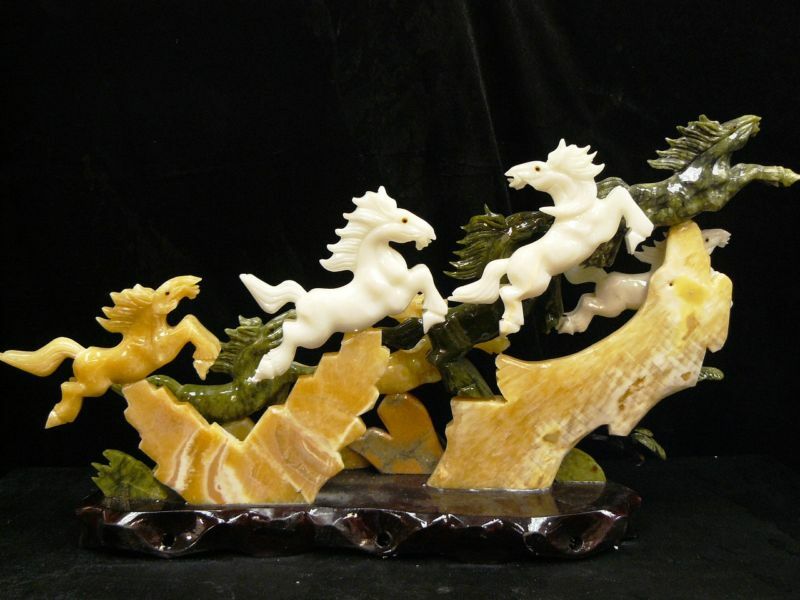 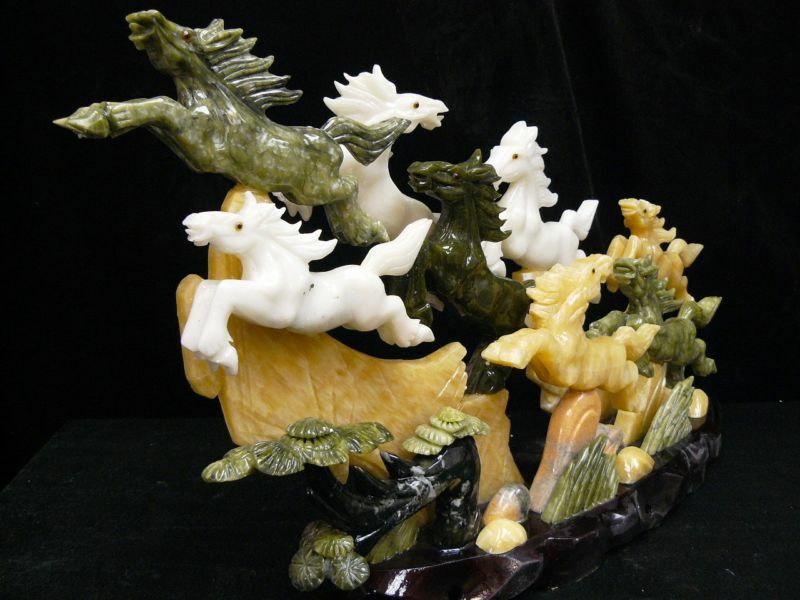 HORSES ARE MADE OF TAIWAN JADE (DARK GREEN), LIAONING JADE(LIGHT GREEN), ROSE QUARTZ(PINK), BLACK JADE, HAN-DYNASTY WHITE JADE AND SOUTHERN JADE(BROWN). 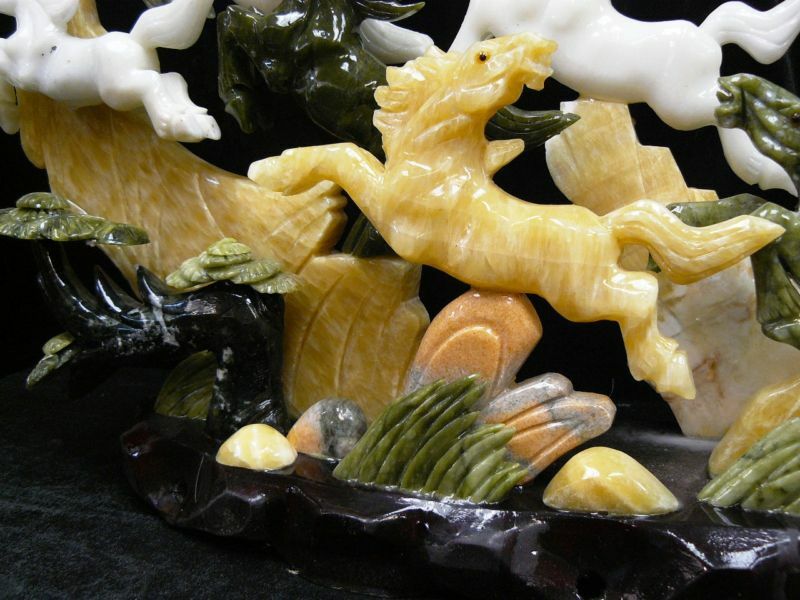 ALL MATERIAL ARE 100% NATURAL.